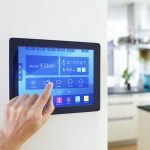 All of us have stains on our clothes, furniture and on our carpets too, every day your child’s good jeans retire because of a new grass stain or your husband spills coffee on his favorite t-shirt or even one of your guests spill chocolate on your new carpet or furniture and you need to know how to remove tough stains to salvage these items. 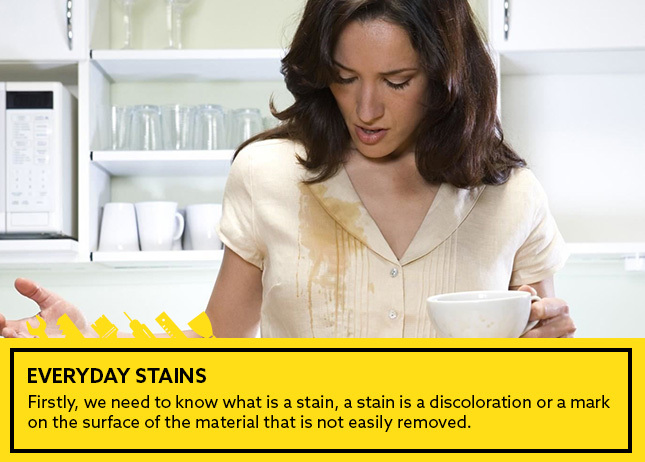 Firstly, we need to know what is a stain, a stain is a discoloration or a mark on the surface of the material that is not easily removed. 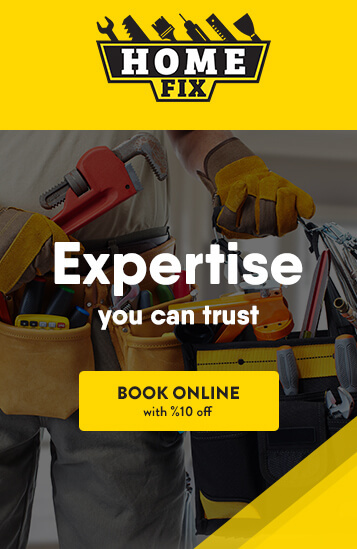 Stain removal has become a big part of the house cleaning process and very essential in your everyday tasks. 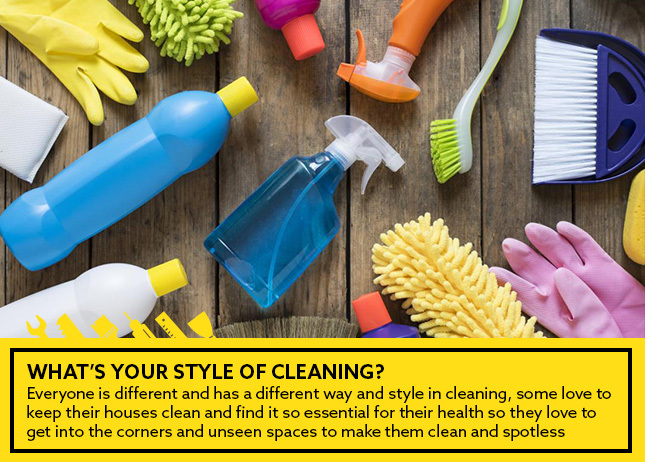 What’s your style of cleaning? Everyone is different and has a different way and style in cleaning, some love to keep their houses clean and find it so essential for their health so they love to get into the corners and unseen spaces to make them clean and spotless, they move the furniture and the carpets to make sure that no dust is left uncovered but some want to get it done and clean as quickly as possible, they never really get deep in the cleaning process, they live with a concept that if they can see it, they’ll clean it and there are those who already hate cleaning and anything related as they prefer to spend the cleaning and vacuuming time with their family or playing with their kids instead of dusting or vacuuming. 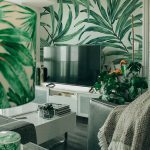 Regardless of our different styles of cleaning all of us always need to remove the different types of stains that appear in our daily life. 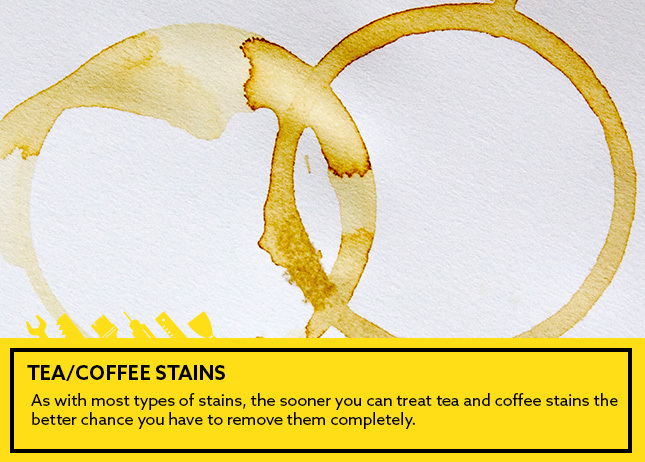 As with most types of stains, the sooner you can treat tea and coffee stains the better chance you have to remove them completely. To remove tough coffee or tea stains, soak the stained part in a mixed cup of vinegar and water or in a mixture of baking soda and water and leave it for 5 minutes, hang the clothes in the sun to dry then launder it as usual. 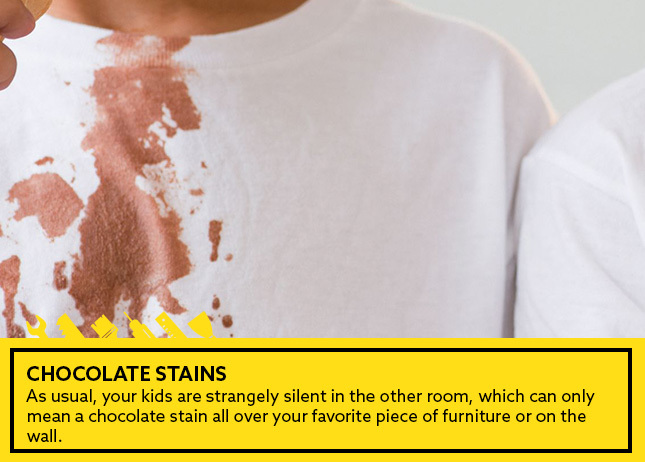 As usual, your kids are strangely silent in the other room, which can only mean a chocolate stain all over your favorite piece of furniture or on the wall. Firstly, you need to allow the chocolate stain to harden, using ice if necessary, then start to scrape off as much of the chocolate as possible, then add some drops of detergent or vinegar mixed with water or diluted baking soda then dry it using a piece of cloth or a towel. 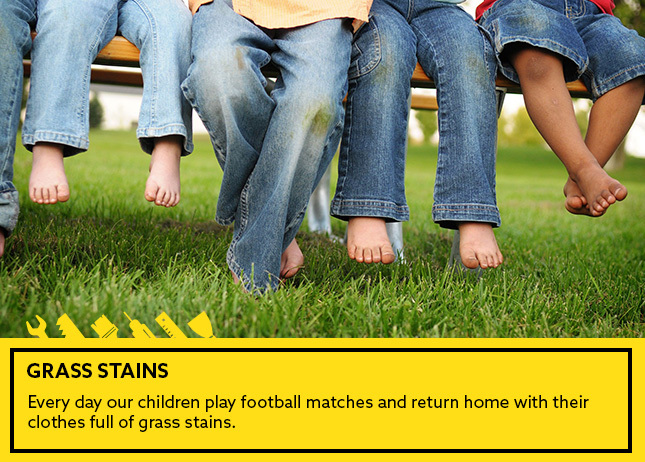 every day our children play football matches and return home with their clothes full of grass stains. 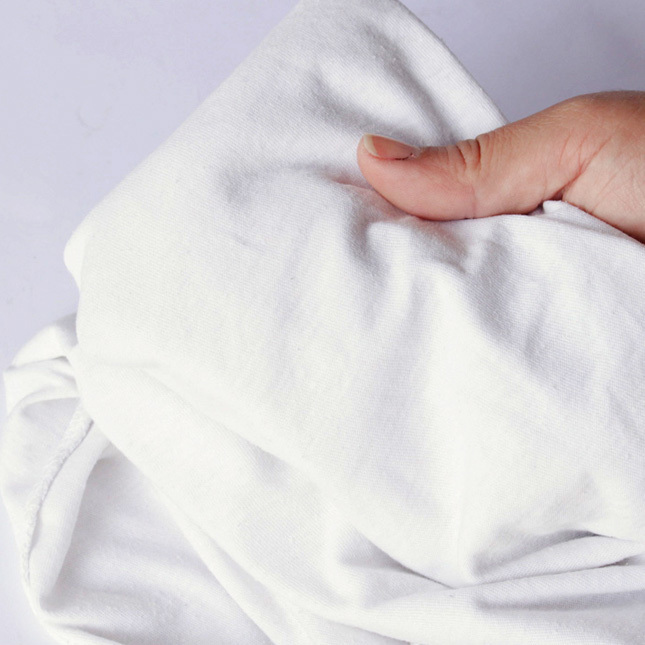 What can we do with this terrible issue you ask, all we need to do is to mix ¾ cup of warm water with ¼ cup of concentrated vinegar and bring a piece of cloth then start to rub it into the stain, let it dry and finally launder it as usual. 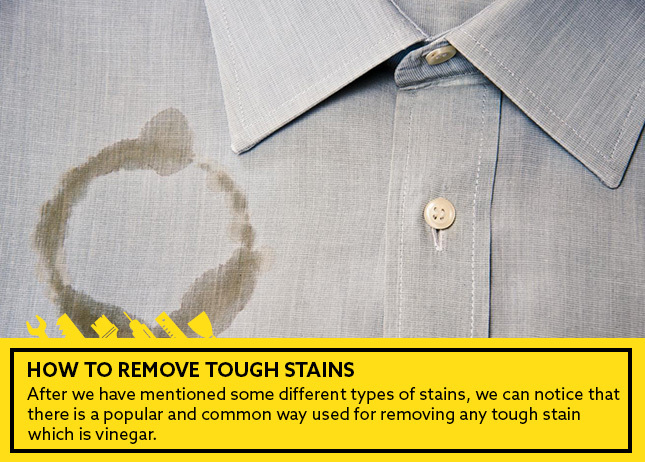 These types of stains require persistence and permanence because they can be difficult to remove, firstly you need to remove any excess of ketchup or mustard from your garment and as soon as possible bring splash cold water on the stain as this will force the stain to back out through the fabric then soak the stained part in diluted vinegar and launder it as usual. 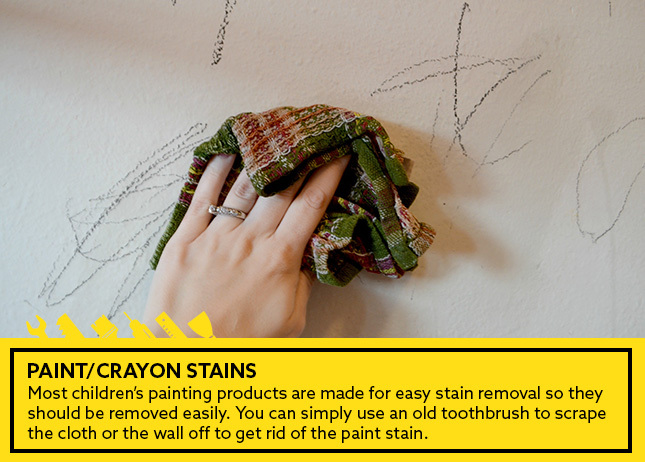 Most children’s painting products are made for easy stain removal so they should be removed easily. You can simply use an old toothbrush to scrape the cloth or the wall off to get rid of the paint stain. This type of stains needs to be saturated with the vinegar or with stain removal to be removed easily and without any effort, let it set for 10 minutes then start to remove the stain with wet cloth or sponge and launder as usual. 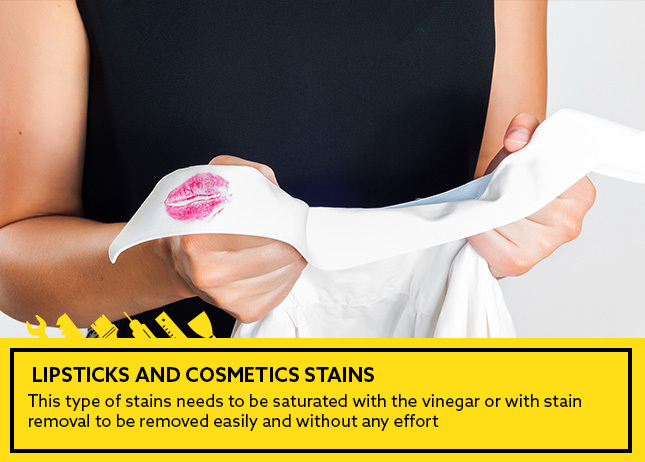 After we have mentioned some different types of stains, we can notice that there is a popular and common way used for removing any tough stain which is vinegar. 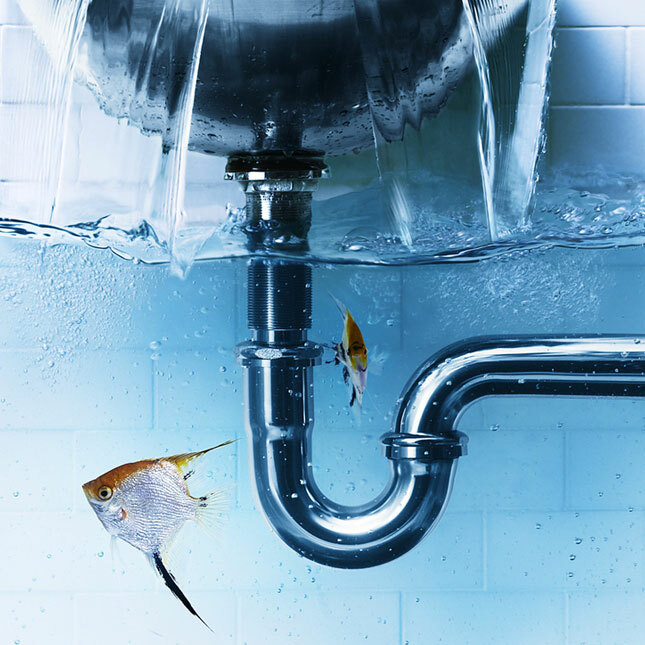 It is the best solution for removing almost any stain regardless of its difficulty. We can also notice that baking soda is the cleaning partner with vinegar. 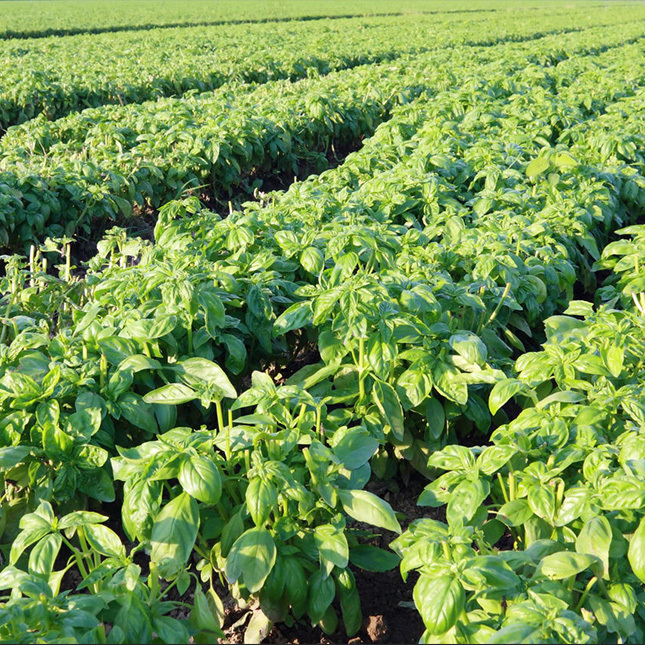 If we analyze the usage of Vinegar from a scientific perspective we will find that the Vinegar is so acidic which means that it can easily interact with grease and remove tough stains to leave surfaces gleaming. 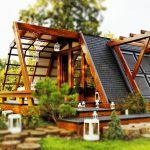 Keep in mind however that not all surfaces can handle the acidic nature of vinegar, some surfaces like wood and stone are susceptible to damage from the acidic nature of vinegar or any other acidic cleaner. 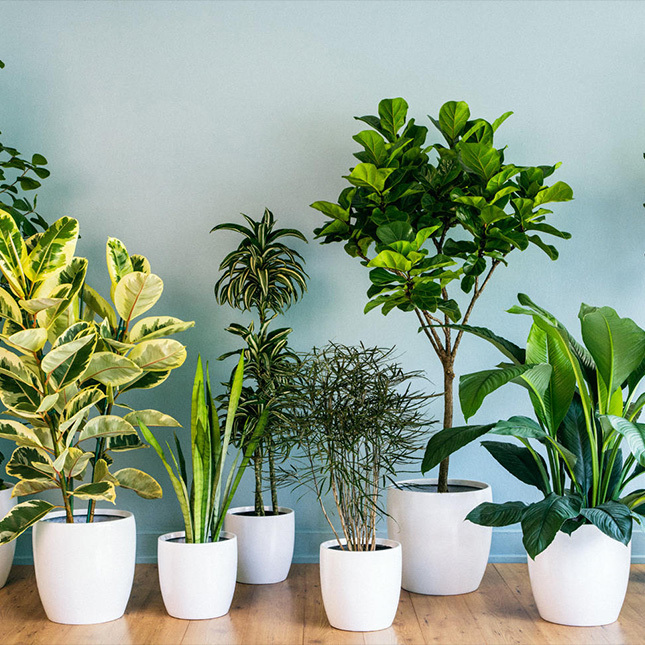 Anyway, the results you get from using vinegar or baking soda differ according to whether they are diluted with water or not, and also whether or not they are mixed with any other cleaning ingredients. 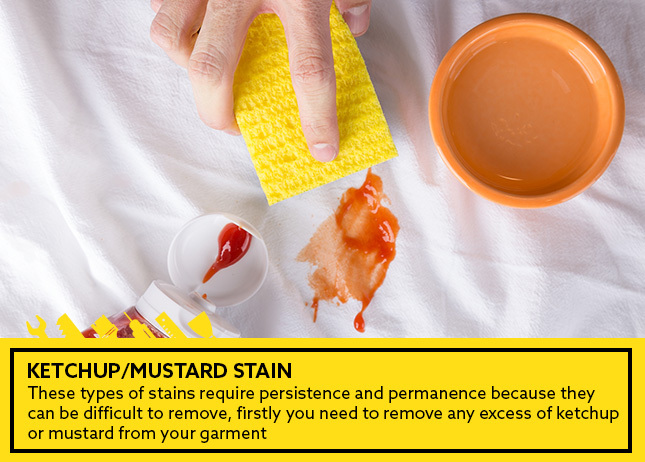 Removing any type of stains is not a very hard thing to do, some of them just need persistence and to keep cleaning them twice or more.